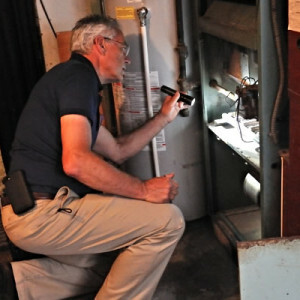 What's Involved in a Home Inspection? The inspection fee for a typical single-family house can vary depending on features of the home such as size, age and special structures. A decision to have a home inspected is a good investment. You might save many times the cost of inspection by being aware of defects, maintenance requirements, and upgrading requirements. Good decorating alone should not sell you on a house. Remember, you're also buying structural and mechanical systems. Walk through a house twice before you hire an inspector. The first time, look at the rooms, the floor plan, and envision your own decorating ideas for the house. The second time, go back and look at the condition of the walls, doors, appliances, and plumbing. If the home still looks good after two visits and you're getting serious about the purchase, hire an inspector. Inspectors should be licensed in building-related fields; architects, contractors, and structural engineers are good examples. When interviewing a potential home inspection firm, carefully inquire about the specifics of their work and company. Ask how long they have been in business; ask for references from previous customers. Find out what type of insurance they carry and do they guarantee inspections?